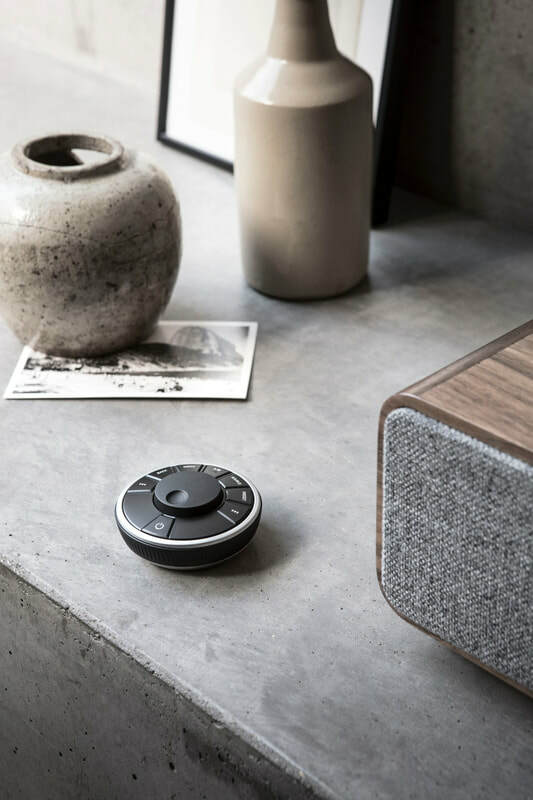 Embodying our knowledge of the past with our vision of the future, R5 is the perfect ‘all-in-one’ system for music and design enthusiasts alike. From feedback we know that many love the design and features of R7, so with R5, we have scaled down our flagship model in all but sound to create a system which is simply pioneering. R5 is also multi-room ready and if desired can be wirelessly linked with our MRx, R2 Mk3 and R7 Mk3 to provide beautiful sound all around your home. Perfect on its own or with a TV as a complete home entertainment solution, R5 embodies our rich heritage with our awareness of changing technology in a system that is timeless and built to last. We pride ourselves on our visual design but with our high-fidelity heritage, we know that it’s what’s beneath the surface that really counts! We are proud to say that we are hands-on with every aspect of our products design, spending endless hours debating and evaluating to create what we believe are the finest available. As an example, R5 uses a high capacity linear power supply with Class A-B amplifiers and active electronics and equalisation to precisely control the loudspeaker units. This technology is usually only found in specialist high value audio equipment. Our trademark RotoDial controller provides a slick control system which is easy to use and like our flagship R7, R5 also includes a matching remote which mirrors exactly the main controller. Using superior radio communication, the remote does not need to be aimed during operation and sited on a table or sitting in your hand the remote is an ergonomic delight. Also available for iOS and Android devices is our app called Ruark LINK. This allows full control of R5 and is ideal for managing multi-room set-up and control. Our audio heritage means we understand the synergy of cabinet, amplifier and drive unit design in creating great sound. For example R5’s enclosure has been tuned to provide optimal conditions for the drive units and electronics. Furthermore, our stereo speakers have been engineered to provide a beautifully natural frequency response by means of a powerful neodymium magnet system and lightweight cone assembly. Finally, our active subwoofer provides effortless extended bass for lifelike aural drama. For local and national broadcasts R5’s DAB and FM tuner provides excellent performance and with DAB+ also built in, R5 is future ready for the rollout of this technology in the UK and around the world. For international broadcasts, R5’s Internet tuner allows access to boundless stations and podcasts world-wide, so whether you’re an expatriate missing home or a music lover into bluegrass or jazz, with R5 you will quickly find stations you will love familiar and new. With its powerful sound R5 can fill your home with music, but with its ‘multi-room’ capabilities it’s easy to wirelessly link and sync with our other models such as MRx, R2 Mk3 and R7 Mk3 to provide sound wherever you want it. Linking and syncing with other units means that you can tailor the sound level around your home, just how you want, so whether you want to party or relax, with R5 and our other products you can do all this and more. R5 is designed for wireless connectivity, but on the back panel we’ve also included an ethernet socket so R5 can be directly connected to your network if required. A wired ethernet connection ensures reliability in playback and can also prove useful if you want to use R5 where the wi-fi signal from your router is variable or weak. In this case, ethernet powerline adaptors are a reliable and ideal solution. 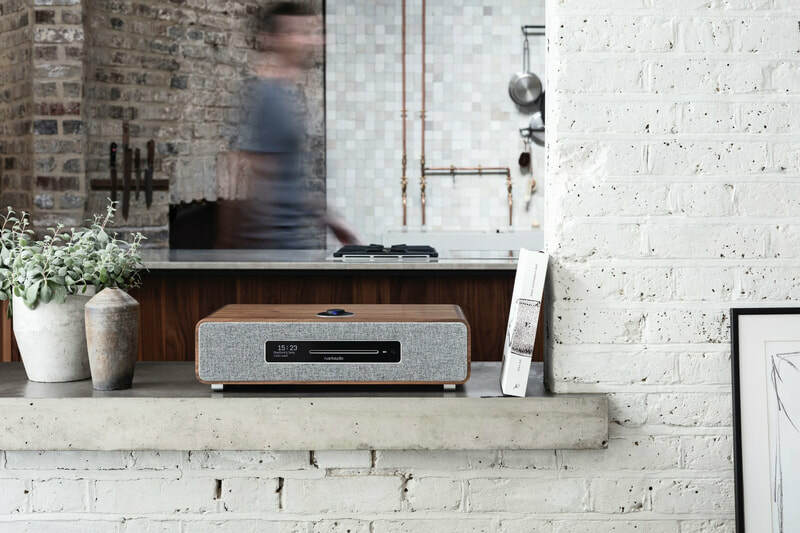 R5 has comprehensive direct connectivity, allowing devices such as a turntable, Amazon Dot, Google Chromecast or Apple AirPort Express to be connected and enjoyed. In particular R5’s optical input provides a convenient connection point for most modern TVs making it a fantastic home entertainment solution that will greatly increase your enjoyment of film and TV. Also included is a USB socket so you can playback music stored on a memory stick in a variety of popular audio codecs. R5 features the very latest aptX HD audio technology which partners with Bluetooth so you can stream high definition music wirelessly from compatible devices to R5 with sound that is indistinguishable from a wired connection. Bluetooth’s ease of use has made it the foremost method for audio streaming, and it works with virtually all leading music and radio apps including Apple Music, TuneIn and BBC Sounds. 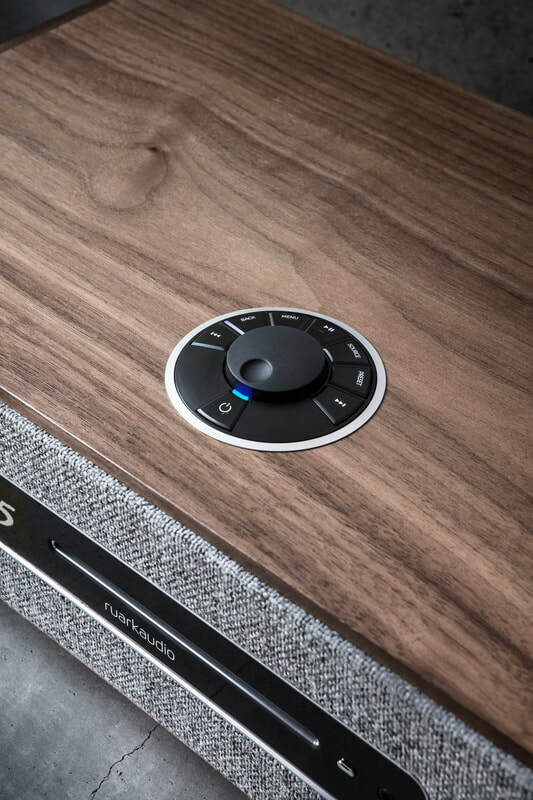 R5 has Spotify the world’s leading music streaming service built in and with a Spotify Premium account you can select R5 as your playback device and then control the music using R5’s RotoDial, remote control or our Ruark LINK app for iOS and Android devices. With a vast library of over 20 million tracks, Spotify Premium and R5 will allow you to discover new music and enjoy old favourites with sound that will transform your listening experience.